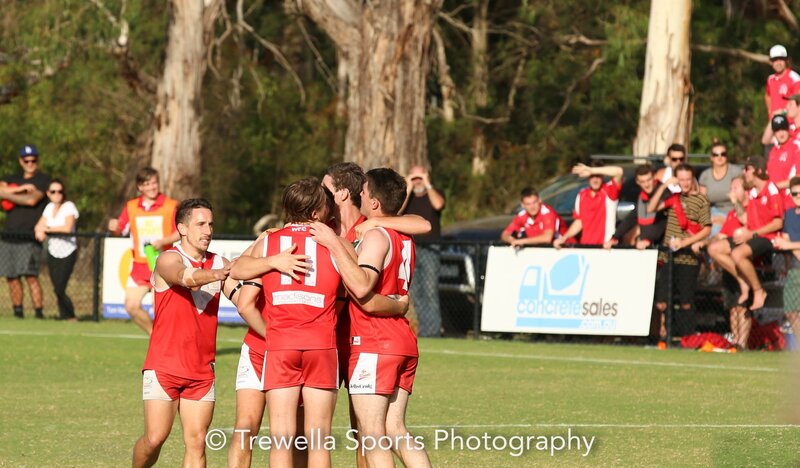 Our 2019 campaign continued against Donvale on Saturday, under much improved weather conditions than last year. All 3 sides gave their all, with the under 19’s victorious but unfortunately the seniors and reserves missed out. On a perfect Saturday afternoon we traveled to Donvale and at the end of the day one team would be 2-0 for the season. Over the course of the afternoon both teams had more than enough chances to seal the game but unfortunately for us injuries to key midfielders crippled our on ball rotations. In the end we were unable to get over the top of Donvale, falling short by 2 goals. It was a tough round two at Donvale for the reserves, we had many great highlights and a lot of positives to take out from the game. Unfortunately for us, we were unable to stay consistent all day which allowed Donvale to pile on goals during a few lapses in concentration and intensity. We are looking forward to when we can play 4 consistent quarters as a team, as surely the results will follow. There are exciting times still to come for our reserves group. Warrandyte: 12 . 15 . 87 – def. This was our first away game for the bloods against Donvale, the boys all turned up at 8.30am for a 10am start ready to take the game on. Congratulations to Connor Martin who was selected to represent the Bloods in the sensor side, which allowed the inclusion of two colts to get a taste of U19 football – Fin & Lewis. The boys both looked at home in the 19’s and dominated all day which was great to see. We came out firing in the first quarter dominating the play and piling on the scoring shots. We got a little content in the 2nd and 3rd quarter before putting the burners on in the last to blow Donvale away and secure another win. The boys are still adapting to the game plan and need to work on accuracy in front of goal with 27 scoring shots to Donvale’s 12. We can’t wait for the boys to put it all together, and are now 2 from 2.